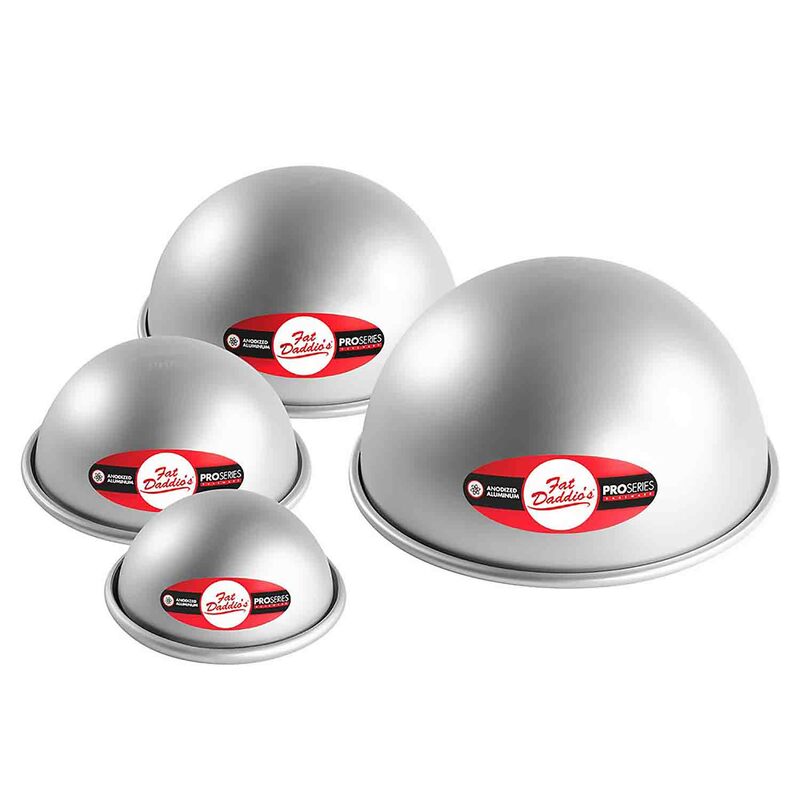 Hemisphere Ball Cake Pan- 8"
Brand: Fat Daddios FD-PHA8 Units: 1 This anodized aluminum hemisphere pan is manufactured from 16 guage aluminum and features a sturdy rolled rim to increase durability. The anodized finish ensures increased durability, easier release and excellent heat transfer. 8" x 4" deep. This anodized aluminum hemisphere pan is manufactured from 16 guage aluminum and features a sturdy rolled rim to increase durability. The anodized finish ensures increased durability, easier release and excellent heat transfer. 8" x 4" deep.